Please contact us for a complimentary marketing consultation for your Neurosurgery practice by filling out the form on the right or by calling (855)898-2710. See how our clients grow their practice with PracticeBuilders. "I've worked with Practice Builders for more than 15 years now, coming to them with great worry about the success of my clinic and trusting them to help grow my business. With their strategic growth plan, marketing materials and digital marketing/social media support, I was able to grow, increasing referrals, revenue and staff, but found myself with limited free time as a result. With continued efforts on their end and mine, I now have two full-time therapists on my team. I am now able to enjoy my practice more, as well as to have the freedom to be away from the clinics when I want to have a day off or go on an extended vacation..."
"Practice Builders helped take our practice to the next level! With their expert guidance, we've now grown so much that we've had to add two new physicians. Our image is improved, our staff is well trained, and we finally have an organized marketing program!" "We were impressed by the attention given to our practice during the workshop. 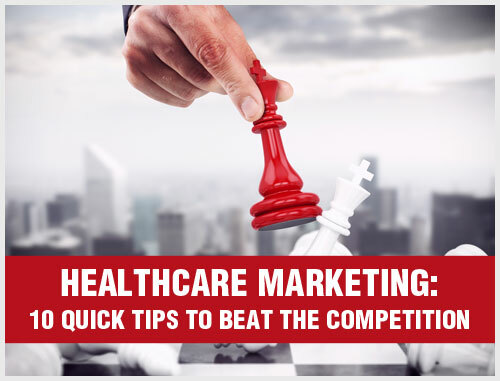 Our marketing consultant developed a strategic plan that revealed our practice's weaknesses and opportunities, showing us solid paths toward improvements. If you're thinking of working with Practice Builders,I highly encourage you to do so. 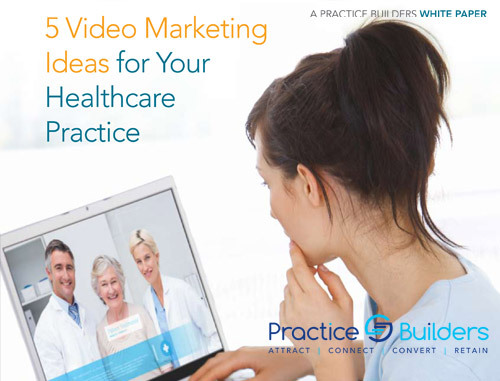 You'll realize that marketing your practice need not be overwhelming – with a solid plan and the support of the team at Practice Builders." "I am very pleased with Practice Builders. I am finding that the messaging on my website and social media are bringing me patients who are confident in our abilities and more comfortable with our recommendations. 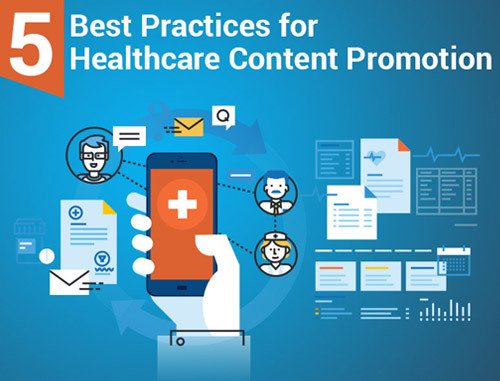 We are also seeing growth from the internal marketing strategies, branding and training in the form of patient referrals." "We contacted Practice Builders as our competition had increased while revenue was steadily decreasing. Since becoming a Practice Builders client, we now have higher referrals, higher revenue, and improved morale and productivity. After completing our new branding, our Practice Builders trainer helped turn our practice around, showing our personnel that "change" is actually a good thing!" 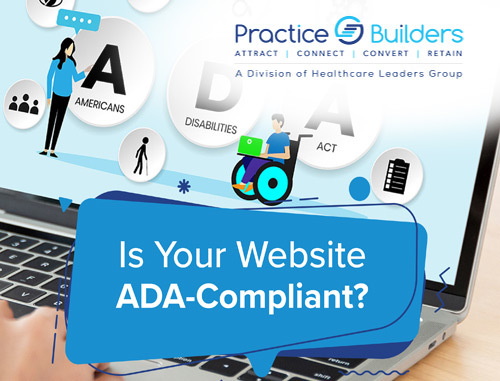 "I hired Practice Builders to enhance my online presence and they have done a terrific job with revamping my old website and getting just the right look for our practice. Their social media package has been really cutting edge, with facebook, twitter, linked-in and others all working to get us new patients. I always recommend Practice Builders to anyone who asks." "Practice Builders has shown me that believing and investing in myself and using proper marketing practices has resulted in a better ROI than any other investment I could thave made. I believe it's the best investment you can make for your future and the health of your practice." "Before Practice Builders, I had an ineffective Internet presence and was experiencing a huge decrease in new patients.... With Practice Builders' assistance, I am thrilled to report that my new patient numbers have increased by 50%, with gross production up 20% this year alone. Thanks to their trainer's guidance, my team is fully committed to the practice's success. I am enjoying dentistry again..."
"I had launched a new practice model, requiring branding and unique marketing materials that would differentiate us in the market. We were introduced to Practice Builders to assist and just a few months later, I am extremely pleased with the end result of the branding, stationary, business cards, brochures and inserts, as well as the website they created. Everyone at Practice Builders was professional, insightful, creative and able to incorporate my specific needs and direction for the project." "Practice Builders does just what the name implies the size of our practice has increased dramatically. Our new physicain has a full schedule, our customer service has improved and we have fewer patient complaints." "Practice Builders created a professional consistent image for my practice that reflected its unique character and helped increase practice growth 16.1% the first year I used their material and advice. And since that time, we've now doubled our revenues!" "Having been through other dental consulting programs, what I appreciated most about Practice Builders is they took the time to learn about our practice's strengths, and essentially our "personality". 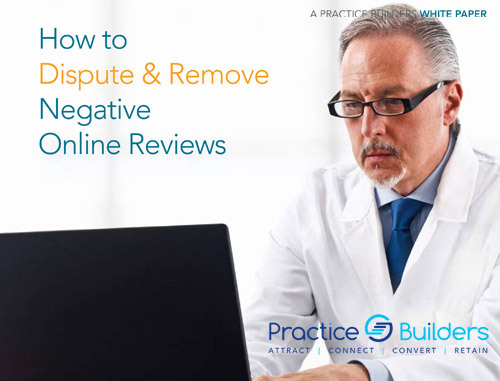 By utilizing our attributes, we were able to market our practice in a genuine way. By being comfortable in our approach, we were all the more effective. We learned how to work smarter, not harder and how to tap into an unused resource to promote our practice – our happy, satisfied patients. We are also now better utilizing the internet and social media to build our practice in a professional and positive manner." "With a goal to increase our business and train our staff to deliver excellent customer service, we're so pleased we chose Practice Builders. Just a few months after meeting them, we now have a well trained staff, professional literature and a website we are proud of, but also importantly, we have a plan in place that is moving our practice to the next level!" "When I first met with my Practice Builders consultant, I was hesitant about the dollars required to launch my full plan. 3 years later, I can say that it indeed was worth the investment. In fact, we continue to have such confidence that we've maintained our relationship with the team into our 4th year now. If you need a one-stop shop for your marketing campaign with high-quality and excellent creative ideas, you definitely need to use Practice Builders." "We had a very successful practice, with a goal to continue to grow. After working with Practice Builders, we implemented the strategic marketing plan and almost doubled our practice! 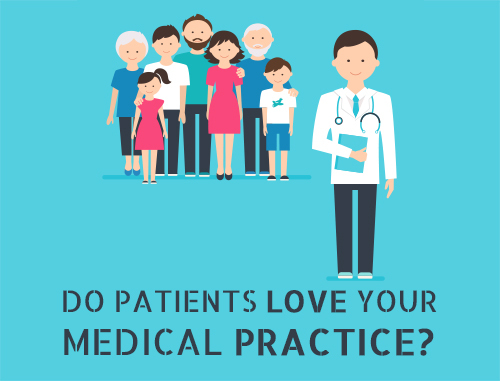 The Practice Builders relationship has provided us a strategic approach to market our practice to referring doctors and has been a tremendous success for us!" "PB helped me to brand my practice in the two areas of surgery that I enjoy the most - anti-reflux and bariatric surgery. Using my website and the marketing techniques provided, I have expanded my market over a larger area." "We highly recommend Practice Builders. When we met them, our referrals were declining and our staff was not functioning as a team. We knew we needed to expand our referral base and had heard that Practice Builders was a great resource for this. Our workshop experience was terrific and our agency experience was excellent. The end result? Beautiful and professionally branded markteting materials, a cohesive staff who now improves our patient experience daily, a 30% increase in referrals and finally, staff and physicians who are happier and more satisfied with their working environment."